It began with retrosexuals – the flipside of the latte-sipping meterosexual dandy, who’d rather a Big M and could tell people exactly where they could stuff their zucchini flowers. They were rough diamonds from a time before gourmet grub and when manscaping meant burying a bloke in your backyard. 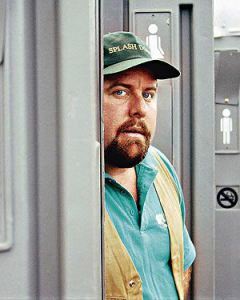 Back in 2007 popular culture cottoned on to the Aussie man exemplified by Kenny, the waste management bloke with a heart of gold. The return of the flannie and competitions for hot tradies all made the yob on-trend again. But mostly blokesploitation appeared on lifestyle shows so no episode of Better Homes & Gardens was complete without a loveable chippy showing the requisite builder’s crack.